Jesse today. Note the flat pick holster and thumb pick rack on the upper part of the guitar body. Mike Frost provides astonishing rhythm and great passion to the groups accompaniment. Mike also heads up his own jazz quartet. 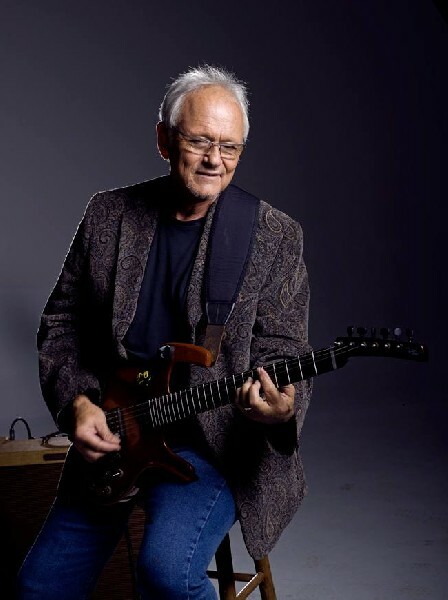 Jesse Colin Young is well remembered and appreciated in this area as was indicated by the full house that assembled Saturday night, May 5th at TCAN’s elegantly refurbished firehouse in downtown Natick. I suspect that many, like myself, had memories somewhat faded around the edge of that moody introspective rebel with long dark locks, brooding expression and clear bright tenor tone. For better or worse, I think some of each, that Jesse is no longer with us. The Phillips –Andover drop-out, the rebel with too many causes, the Bucks county bad-boy has mellowed, matriculated and matured into a seemingly content and well adjusted senior with a refined sense of humor. His artistry as a musician has become as polished as one might want and his selection of accompanists more than compensates for the wear and tear on his vocal instrument. His political savvy has however, remained constant. Whether it is because I am less observant than I like to think I am, or because it is truly an innovation, I was intrigued to note two accessories attached to Jesse’s instruments. One I would call a flat pick holster and the other a thumb pick rack. Their utility quickly became apparent as I watched a flat pick fall to the stage and another appear in his hand without a beat being missed. Once I became aware of them, I appreciated how these accessories made switching from one to another so facile. We old dogs can learn new tricks, after all. But, it was not tricks that characterized the evening’s performance. Jesse commanded the focus of our attention, but directed that attention to the talents of the musicians with which he has surrounded himself. Wife, Connie, playing violin and occasional percussives, joined voice often with great charm on the choruses. Don Vega offered keyboard runs and riffs that were sometimes dramatic and sometimes subtle but always interesting, Mike West on drums kept the beat as regular as clockwork with occasional syncopations that surprised the ears without disrupting the flow. Mike Frost on electric bass was as compelling to watch as to listen to. His body seemed to vibrate in sympathy with his instrument. An almost ethereal expression came over his face. 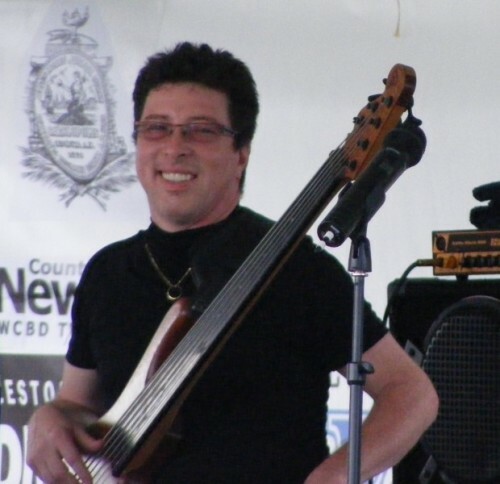 At one point, the odd thought passed through my mind that if Al Wilson had reincarnated and taken up the bass, this is what might be the result. So while Jesse’s singing was not a striking as it once was, the artistry of the night set as high a bar as ever and oldies like Four In The Morning, Youngblood tunes like Get Together, anthem Song For Juli and brand new tunes, one lamenting the fate of an Afghan vet were presented to us with elegant framing. The audience responded in a manner that lead me to believe they were even more enthusiastic than I.
TCAN continues to bring the Oldies but "as good as, if not better than, evers" to us and I for one am ever grateful. Here is a more recent incarnation of the group with Connie Young on violin and Mike Frost on bass with their rendition of Four In The Morning. "Saw him last year in Portland and judging from your You tube video his voice has weakened and he seemed less inspired."